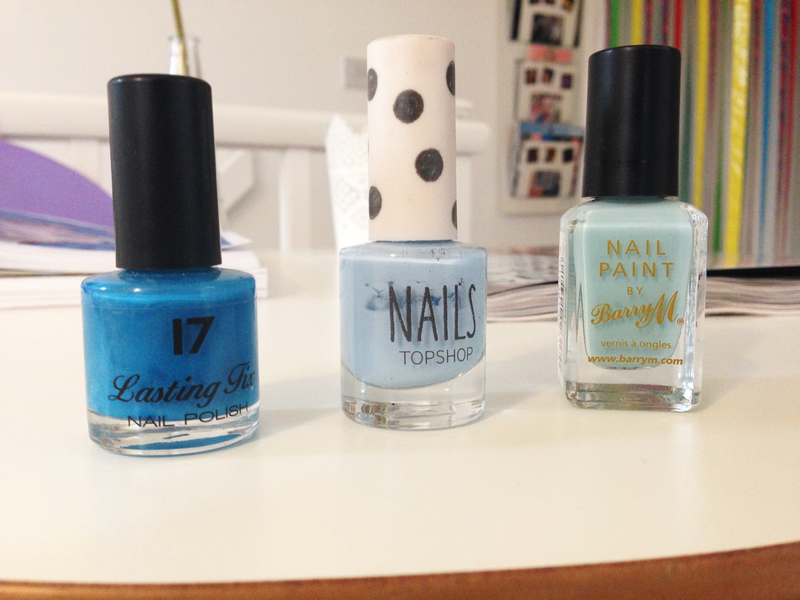 L-R: Seventeen 'Seabreeze', Topshop 'Forget Me Not', Barry M 'Blue Moon'. Blue, I can't get enough of you. I've gotten to a point where it's hard to construct an outfit because all of my favourite pieces are the same colour and I end up looking like a cartoon character (see below). Blue isn't just for my wardrobe, oh no. Blue has taken up a large part of my nail polish selection, so I thought I'd show you a few of my favourites. The Seventeen Lasting Fix number is rather old, as you can see from the packaging I picked this up before the huge rebrand Seventeen had. I'm not sure they do this colour anymore as I struggled to see it on the Boots website, but a lot of the time they do still have the stock there. Topshop are always changing their colours around as the seasons come and go, but there is one very similar to Forget Me Not in stock at the moment called Sweet Nothings. I have so many of their muted colours, this being my favourite and closely followed by a green. Finally, trusty Barry M's Blue Moon, which I think I picked up last summer for £2.99, a price you really can't turn down. Just LOOK at that colour. Bluey, greeny, a bit like a cloudy spring sky. I'm really bad at describing colours, hence why I've tried not to and let the photos speak for themselves. 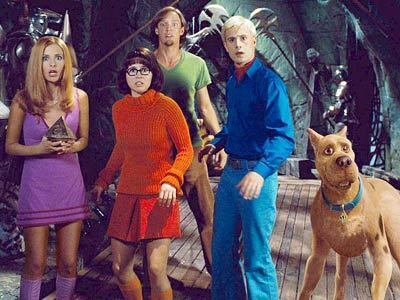 I'm definitely more a Velma than a Fred.